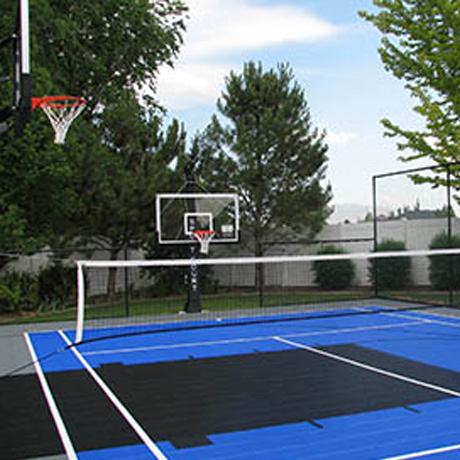 Want to get the most out of your Sport Court? Now you can, with options to play more than 15 sports on one court. We at Sport Court know it's not easy to decide which court to choose that's why we want you to have it all in one court. Choose from our wide selection of courts to make the perfect multi-use court for you and your family. When it comes to the love of sports and family fun...Sport Court will guarentee the your family will be excited to play on the court in your backyard.